There has been speculation that New Zealand-born Stokes is using his time with Canterbury as a prelude to rejoin the England team during its current Ashes test series in Australia. England's Ben Stokes (right) of Canterbury is bowled by Otago spinner Anaru Kitchin (unseen) during their Ford One-Day Trophy match at Mainpower Oval, Rangiora, in New Zealand on December 3, 2017. 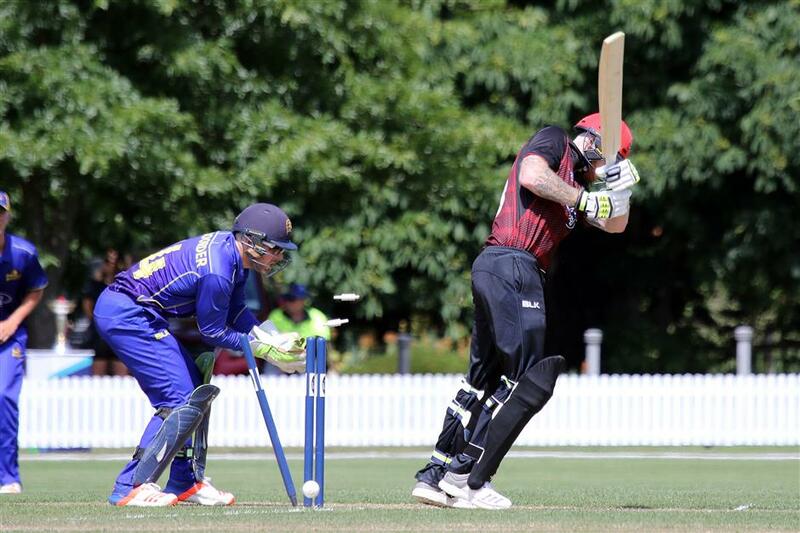 England allrounder Ben Stokes made a rusty return to cricket in a New Zealand domestic one-day match for Canterbury against Otago. Cricket critics from England and Australia were among a crowd of around 400 at the Mainpower Oval at Rangiora, near Christchurch, where Stokes played his first match since September when he was arrested over an incident outside a nightclub in the English city of Bristol. He scored only two runs in a seven-ball innings as Canterbury batted first, then took no wickets for 49 from nine overs as Otago passed Canterbury's total of 221 with three wickets and 15 balls to spare. There has been speculation that New Zealand-born Stokes is using his time with Canterbury as a prelude to rejoin the England team during its current Ashes test series in Australia. If so, he needs a rapid form improvement after a low-key performance. Stokes, who was stood down from England duties pending the police investigation, has insisted he is only in New Zealand to visit his parents who live in Christchurch and that the opportunity to play for Canterbury arose incidentally. His selection for the province where he was born has been contentious. Avon and Somerset police last week passed details of their investigation into the incident involving Stokes to Britain's Crown Prosecution Service for "charging advice". If charges are laid the decision by Canterbury to rush Stokes into its lineup for Sunday's match will likely be strongly criticized. Before the match, Stokes said he'd been working hard in England and wanted to put that into practice. Canterbury director of cricket Gary Stead said Stokes had been welcomed by the Canterbury players. "Ben is just desperate to play cricket," Stead said. "He really reminded me of a young kid, just wanting to get out there and play. "I can't remember a time where there's been more interest in any match I've ever played in or been involved with in New Zealand. There's been interest from all over the world."